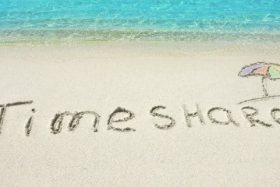 A timeshare is a form of vacation or holiday ownership. 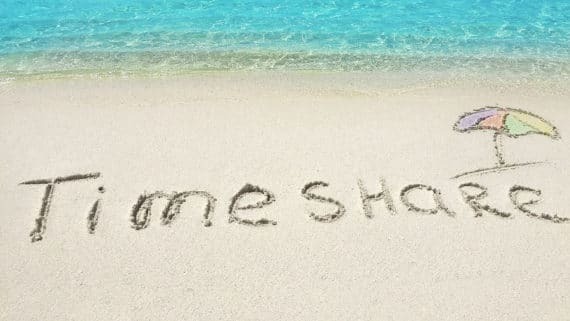 The original definition or style of timeshare (and the one most people probably think of when they hear that word) involves buying the right to vacation for a set period (usually one week), every year, at a specific resort. For many years now, timesharing has become a popular way to take a vacation. Still, a lot of travellers don’t know a lot about how it works, or indeed are aware of how timeshare products have evolved over time to now include more diverse options that open up a lot more variety and destinations. When you own a single vacation or holiday home, you have dominion over a physical property. You can use it anytime and every time you want. Holiday home ownership comes with responsibility though. You obviously are committed to pay for the full value of the property including year-round maintenance costs plus rates and taxes, water and electricity charges and body-corporate fees (if a strata property). Having a timeshare is different from this arrangement in many ways. In its original form, a timeshare essentially offers you an allotted amount of “time” wherein you can use your resort’s accommodation. For example, if you choose to own a 3-bedroom timeshare at a Queensland resort for the first week of January every year, your vacation accommodations are guaranteed at that time, every year. If you are a frequent traveller or vacationer, timesharing might benefit you because you get the perks of a high-end vacation home without having to spend for all of its upkeep. Of course, over the years, timeshare has evolved. There are now timeshare ‘vacation clubs’ that work by providing a set amount of ‘points’ annually that can be used to stay at a broader network of accommodation owned or linked to that club, as opposed to offering a set week to be taken in just one location. Some clubs have 20+ properties in their own network, which provides a lot of variety. A lot of timeshare ownership programs now offer the option for timeshare exchange too. An exchange allows you to go on vacation at a different resort, in a different location beyond your own timeshare property or Vacation Club network. This way, you are not tied down to selecting the same vacation spots every year. There are a lot of unsatisfied timeshare owners. If you listen to their complaints you will find out that the dissatisfaction stems from not knowing what timeshare is, not understanding what different kinds of timeshare options are out there, or grasping how their specific timeshare works. Timeshare is a significant purchase that you shouldn’t go into with your eyes closed. Equip yourself with knowledge before you sign on the dotted line and you will be a satisfied owner of a timeshare that suits your personal lifestyle needs. How is timeshare different from a hotel? In most instances, Member accommodation within a timeshare resort generally offers more space and amenities as compared to a traditional publicly sold hotels, depending on the operator you go with. Often a hotel room is a studio-sized area that has a bed, then there’s a small bathroom and nothing else. With timeshare, you are more likely to get an actual apartment or a condominium-style unit with a choice of several bedrooms, bathrooms, a full kitchen, dining area and a living room. Amenities are also offered in most timeshare resorts – recreational, sporting and social activities both for kids and adults. Many resorts also offer swimming pools, golf courses, tennis courts, horseback riding, skiing and others all on site. What are the different types of timeshares? It’s important to understand the different ways timeshare work. Timeshare ownerships are either deeded or leased for a specified period. Deeded – A deeded timeshare is like a regular real estate purchase. After you buy a deeded timeshare, you own it. You may sell, rent out or will your timeshare to your heirs. A deeded timeshare is a perpetual contract; there is no expiration date. Leased – A leased timeshare gives you the right to use a property for a specific week or weeks for a definite period, usually 20 to 99 years. The right to use the property expires at the end of the leased period. Fixed week – A fixed week timeshare allows you to use the unit for that specific week. Fixed week typically starts on a Friday, Saturday or Sunday. Floating week – A floating week timeshare allows you to use the unit anytime during the year based on availability. If you are considering buying a timeshare, it is vital to take an honest look at your finances to see what you can afford. First, determine how much you can pay out for the initial purchase price. Most timeshare companies will offer financing, and this can help you delay the up-front cost. Be aware that it’s common for timeshares to require an annual maintenance fee of up to $1,000 or more too (for maintenance, running costs and regular refurbishment). It is good to consider how these costs weigh up against what you might already be spending on annual holidays now and in the future to determine the value and benefits for you personally. If you own a leased timeshare, a big advantage might be having the flexibility to exchange your week. You can join a timeshare exchange company and trade your week with other timeshare owners. This flexibility allows you to use your home resort every year, if you want to, or trade for any of the affiliated resorts throughout the world. Some timeshare resorts have an internal exchange program while others use an external company. These external companies require an additional membership fee that you can either renew or cancel every year. Accor Vacation Club is a licensed timeshare offering of AccorHotels. Members get an allocation of Premier Points annually and they can use this for holidays or short breaks. 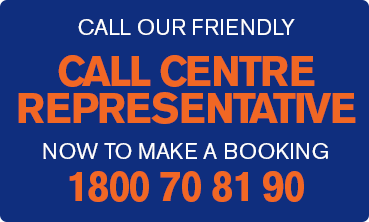 They can enjoy top-quality accommodation across Australia, New Zealand and Indonesia. A membership in Accor Vacation Club is great if you’re the type of vacationer who plans your holiday in advance and likes the security knowing the type of accommodation you will get. Let’s say your work allows you two weeks of vacation per year that you can pre-schedule. Possibly, a membership with Accor Vacation Club would make a good investment to pre-plan your holiday time in advance. You get pre-paid accommodation that allows you to spread out with friends and family in generously-sized properties, with the flexibility to use the properties facilities to self-cater during your stay. The Sebel Sydney Manly Beach – Your gateway to golden sand, snorkelling and surfing, The Sebel Sydney Manly Beach has a breathtaking waterfront setting. Members can enjoy a variety of fully-furnished accommodations, from studios to one and two-bedroom apartments that boast convenient kitchenettes. Guests can also choose from an ocean view, superior and standard rooms that all have air condition, private bathrooms, LCD TVs and balconies. The Sebel Melbourne Flinders Lane – Members who love the sophisticated city vibe of Melbourne have good things to say about The Sebel Melbourne Flinders Lane. Smack bang in the fashion and foodie district of Melbourne, this boutique hotel has 56 exquisitely-furnished apartments that have big bedrooms, living areas and kitchenettes. Just a short stroll to theatres, museums, sporting venues and eateries, urban-loving vacationers surely enjoy The Sebel Melbourne Flinders Lane. Grand Mercure Puka Park Resort – One of the most popular destinations included in the Accor Vacation Club portfolio, Grand Mercure Puka Park Resort is loved for the luxurious seclusion it provides. Think stylish apartments, and the laid-back ambiance of a mountain lodge. Grand Mercure Basildene Manor – Accor Vacation Club members love the old-world charm and modern comforts of Basildene Manor. This is the preferred destination for wine lovers not least of all because of its enviable location in the wine region of Margaret River. Needless to say, this rustic manor house and its landscaped gardens is ideal for tourists interested in exploring the area, and is near to great wineries, cafes and restaurants. The Sebel Pinnacle Valley – An exciting year-round destination, The Sebel Pinnacle Valley offers stylish and modern apartments in the stunning Victorian High Country. Just 30 minutes away from the Mt Buller ski slopes, Accor Vacation Club members can choose from a wide selection of outdoor activities like snow skiing, bushwalking, horseback riding and golf, depending on the time of year. The information in this article is not personal financial advice and has been prepared without taking into account the objectives, financial situation or needs of any particular person. Before making a decision to purchase or upgrade a membership in the Accor Vacation Club, you should consider the PDS dated 19 April 2018, issued by A.P.V.C. Ltd AFSL 245515 and available at www.accorvacationclub.com.au or by contacting A.P.V.C. Ltd on 1800 70 81 90.